A determined Tyson Fury is a scary, scary man. The storybook ending to Fury's remarkable comeback was stolen from him last month, when a clear victory for 'The Gypsy King' against Deontay Wilder was inexplicably deemed a split draw. 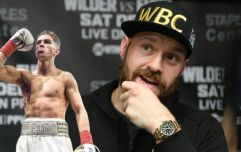 The scandalous judging in Los Angeles could well have forced Fury to fall into old bad habits and several fans feared that it's exactly what would happen when the disappointment set in for the undefeated Brit. Fury battled back from drug addiction, alcoholism, suicidal tendencies, depression and serious doubts about his ability to return to anything resembling fight shape when he put on a technical boxing clinic for large stages of his WBC title fight with Deontay Wilder at the Staples Center. Having weighed as much as 400lbs at one stage during his time away from the ring, Fury committed himself to a spirit-testing training regime and life-changing diet. He weighed 256.5lbs at the weigh-ins for his clash Wilder but he looks to have lost even more weight since then. 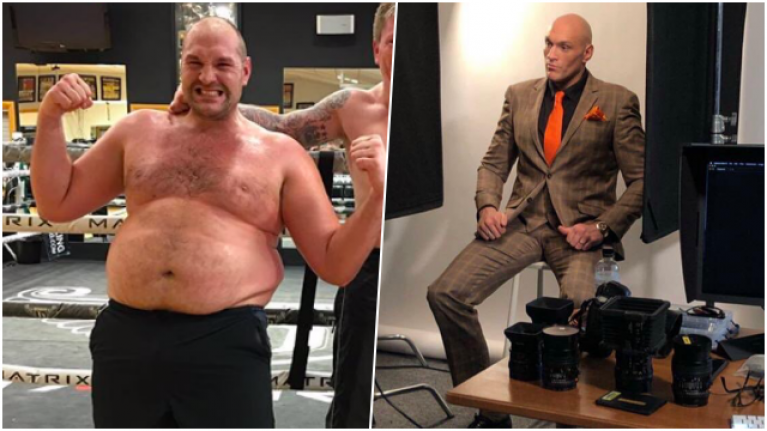 Fury has spent most of January training in Marbella while his team negotiated a rematch with 'The Bronze Bomber' and the results are clear to see. In early images from a GQ shoot, Fury looks every bit the male model as he showed off an even slimmer physique, a striking jawline and previously obscured cheekbones while getting photographed. According to reports, Wilder vs. Fury II is a done deal for Brooklyn's Barclays Center in the spring and while a date has yet to be confirmed, it's understood that they have narrowed it down to two potential dates in either April 27 or May 18.